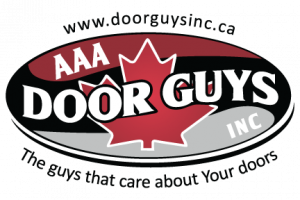 If you are getting ready to install a brand-new garage door in your newly constructed building, or if you are replacing an old garage door, it is a great time to consider the advantages of insulated garage doors. Energy costs are already high and get higher all the time. 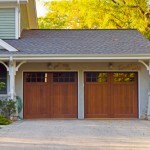 Insulated garage doors can reduce your energy consumption, which is good for the environment and good for your wallet. When looking at insulation, pay attention to the R-value of the doors you are considering. The higher the R-value, the more insulated the door is and the better it will protect your property from the extreme temperatures of winter and summer. Insulated garage doors can also reduce outside noise and can even operate more quietly than less insulated doors. Polystyrene: These types of doors have sheets of polystyrene between the front and back panels. This material is generally thicker than foamed-in-place polyurethane, and has a lower R-value, but it may be sufficient for some applications. Foamed-in-place polyurethane: These types of doors have foam insulation inserted into the cavities between the front and back panel. Because of this process, the cavity can be filled completely. This type of insulation may look thinner, but it actually provides a higher R-value than polystyrene. There are many different insulated garage doors to choose from. Rolling service doors made from aluminum and steel can be insulated. Sectional steel doors are another possibility. If you need serious insulation, thermacore doors provide the most insulated result. You may want to consider wind load of the doors you are installing as well.